Rosa A. Ojeda Ayala, Ph.D.
Dr. Ojeda Ayala is a retired professor from the University of the Sacred Heart, where she started in January of 1974. In 1984 she completed her doctoral degree, with a major in research and instructional development, from Purdue University in Indiana. She also has a master’s degree in Psychology of Education from Teachers College, Columbia University, in New York. Her Bachelor’s degree in Psychology and Sociology are from the University of Puerto Rico, Río Piedras Campus. 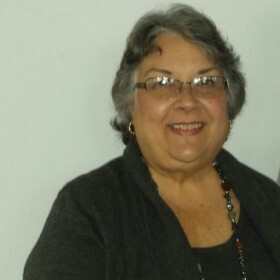 While her academic experience has been dedicated to teaching at the higher education level, especially graduate studies, she had all her academic training within the Puerto Rico public school system, which inspires her to engage in the optimization of the educational process, with emphasis on how technology can contribute to the positive transformation of these processes. After obtaining her doctoral degree in 1984, she returned to Puerto Rico and, along with other colleagues, worked on the proposal for the creation of the first graduate program in Instructional Systems and Educational Technology in Puerto Rico and the Caribbean, which officially started in 1985. In 1987, she became President of the Association for Communication and Educational Technology of Puerto Rico (ACTE-PR), and was a member of the Board of Directors of the Puerto Rican Institute for Peace. For ten years she has been part of the Board of Directors of Advancer Local Development, an entity of community-based urban and economic development in Puerto Rico. Dr. Ojeda Ayala has excelled also as a consultant in programs design, especially in the evaluation of educational programs, instructional designer, testing and system development of programmatic and administrative audit of tests. She drafted questions and chaired the Committee of Professional Competencies for the first Teacher Certification Test administered by the College Board of Puerto Rico. She has also conducted research for the industry and developed instructional designs. Her research interests are oriented towards the study of cognitive processes mediated by technology, the interactions between the real contexts and learning in virtual environments, and other related topics. To contact Dr. Ojeda you can call the HETS office at (787)250-1912 extensions, 2372, 2373 or via email at: academics@hets.org.